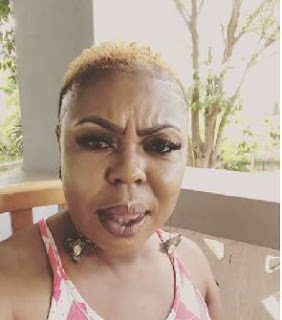 Comedienne and TV personality Afia Schwarzenegger has launched a scathing attack on Assin Central Member of Parliament (MP) Kennedy Agyapong. According to Afia Schwar, Ken Agyapong is the most corrupt person in Ghana today and a ‘shameless coward’. "One of the most corrupt person in this country is Kennedy Agyapong aka Sgt Lee. We are waiting for ur loud mouth, come and takeover … Shameless Coward!!!!! God bless you so much Anas Aremeyaw Anas. Indeed God fights our battles," Afia Schwar posted on social media. As if that was not enough, Afia Schwar recorded an Instagram story launching more invectives on the Assin Central MP. "I've finished watching the video. Kennedy Agyapong your mouth is 'pakyaa' like my 'tonga'. Kennedy Agyapong, you are a thief [so] take yourself to jail. Foolish man like you. You claim to have evidence about everybody. 'Ashawo' man like you," she said among other insults. Afia Schwar's attack came after she watched the latest exposé of investigative journalist Anas Aremeyaw Anas on Wednesday June 6. Titled 'Number 12', the exposé which focused on corruption in the Ghanaian football arena had Kennedy Agyapong featuring prominently. In the video, Kennedy Agyapong's name popped up during a GFA Preisdent Kwesi Nyantakyi's conversation and some undercover reporters he thought were investors. Seeing Ken Agyapong as a possible stumbling block to their impending deal, Nyantakyi had suggested that they let the MP in on the deal. Though Ken Agyapong was not caught taking any bribes or engaging in any shady deal, Afia Schwar thought the mere mention of his name was enough to merit a jubilation.